“The prospects for premium cars in China have been excellent and we have no reason to believe why that should change,” Daimler CEO Dieter Zetsche said today. 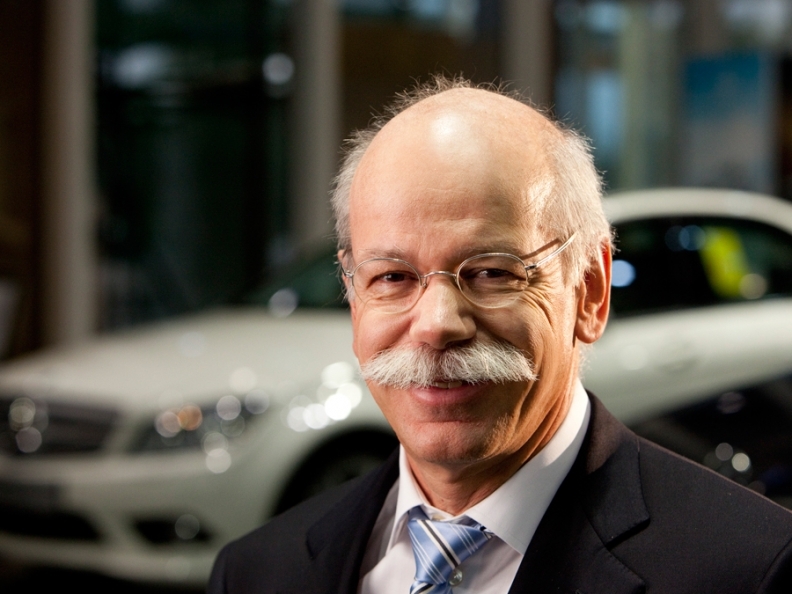 (Bloomberg) -- Daimler AG will grow sales by more than 10 percent next year in China, which is set to become Mercedes-Benz's biggest market by 2015, Chief Executive Officer Dieter Zetsche said today. Deliveries will increase by a “double-digit” percentage in 2011, Zetsche said today in an interview with Bloomberg Television. The world's second-largest maker of luxury cars expects to sell 120,000 vehicles in the country this year, up from a previous forecast of 100,000, he said. Daimler, General Motors Co. and Nissan Motor Co. are expanding in China as rising incomes and a growing economy boost sales in the world's largest auto market. Daimler is seeking to close the gap with luxury leader BMW AG and fend off Volkswagen AG's Audi division. “The prospects for premium cars in China have been excellent and we have no reason to believe why that should change,” Zetsche said during his third trip to the country this year, this time for a Mercedes-Benz star-lighting ceremony for the Daimler Tower in Beijing. Daimler, which has ventures with Beijing Automotive Industry Holding Co. and Fujian Motors Group, plans to double passenger-car capacity in China in five years, Zetsche said. The automaker currently has capacity to produce 100,000 units annually. The automaker also plans to introduce an electric car with Warren Buffett-backed BYD Co. as early as 2012, Zetsche said. Mercedes-Benz hit its initial 2010 target in the first nine months of the year, with sales of 101,350 units, the company said earlier this month. Daimler's September sales in China surged 98 percent to 13,500 vehicles, compared with BMW's 89 percent gain to 15,379 units and a 45 percent increase at Audi, the luxury leader in China, to 22,125 autos. Economic growth, rising affluence on the mainland and low levels of car ownership make China an increasingly important market for luxury carmakers, said Paur, who has covered the industry for 15 years. Daimler will start making engines in China in three years, and doesn't anticipate overcapacity problems, Zetsche told reporters separately. The carmaker will build an engine plant as part of a 3 billion-euro ($4.2 billion) investment in China. The factory is due to start production in 2013. Daimler, which is also the world's largest truckmaker, raised its 2010 operating-profit forecast to 6 billion euros on July 27 after beating quarterly estimates on higher sales in China and the U.S.
Auto sales on the mainland may rise 25 percent to 17 million units this year, Xinhua News Agency reported this month, citing the China Association of Automobile Manufacturers. The nation overtook the U.S. as the world's largest car market last year, with a record 13.6 million vehicles sold, according China's State Information Center.